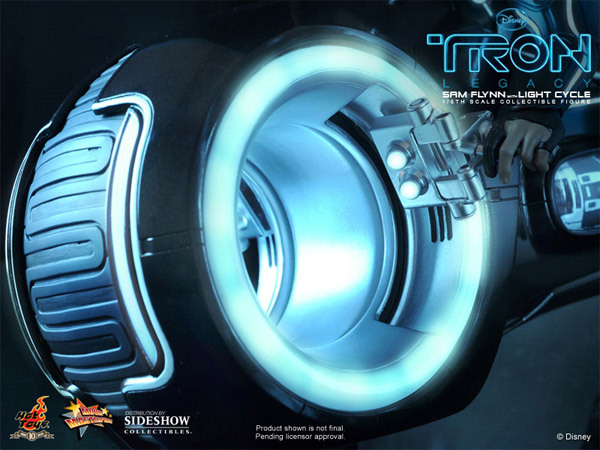 The ultimate TRON:Legacy collectible features a tiny Sam Flynn atop his black light cycle. 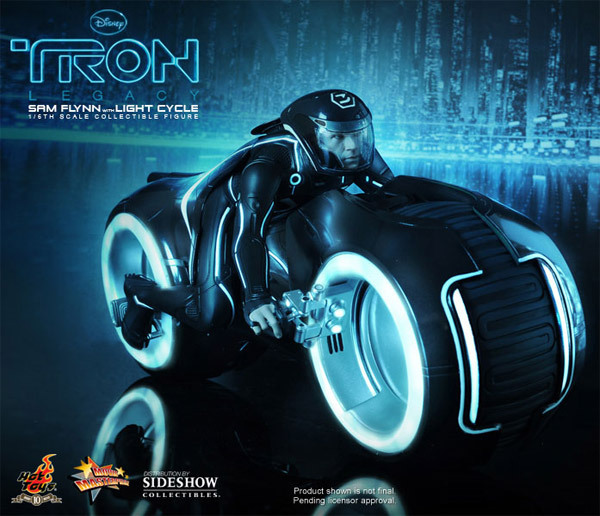 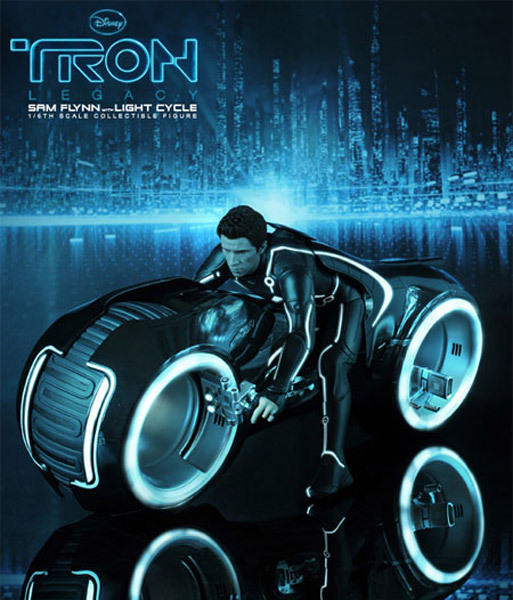 The 1/6th scale replica includes a detailed Flynn figurine, LED light-up suit and light cycle. 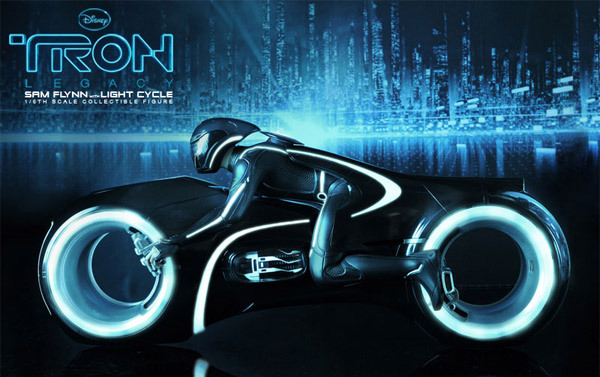 Ships Q3 2011.